A Malibu community group filed a complaint with the city clerk’s office this week alleging city officials violated the state’s Brown Act in discussions leading up to the City Council’s Jan. 14 decision to explore a park swap with the Santa Monica Mountains Conservancy (SMMC). The Brown Act is what is known as a “Sunshine” law, which guarantees the public’s access to government meetings and prohibits secret meetings of government bodies. The group, Malibu Township Council (MTC) is demanding the city council to suspend all negotiations with SMMC and make all “swap-related public records, including emails and text messages” available to the public. MTC accuses Mayor Lou La Monte and Mayor Pro Tem Joan House, of “secretly [negotiating]” with the Executive Director of the SMMC, Joe Edmiston, for a trade that would give the City of Malibu full control of the 93-acre Bluffs Park and hand over full control of 532-acre Charmlee Wilderness Park to the SMMC. MTC also alleges that legal counsel from both sides, including City Attorney Christi Hogin, unlawfully met and “secretly hammered out the details” of a swap before the discussion was discussed at a public hearing by the City Council on Jan. 14. The first meeting between both sides happened in early December when La Monte and House first asked Santa Monica Mountains Conservancy head Joe Edmiston to lunch after House came up with the idea to swap Charmlee for Bluffs as a possible way of obtaining more land for athletic fields. An email written by Edmiston on Dec. 21 to the SMMC’s board of directors said that he came away from the lunch with “the framework for a comprehensive solution to many of the issues between Malibu and the SMMC.” Some contend the email implied that House and La Monte set up a deal with Edmiston before discussing the trade in public on Jan. 14. In January, Hogin said such allegations were unfounded and a distraction from talks of a swap. “The City Council’s offer to give away Charmlee Wilderness Area appeared to deliberately avoid public input from residents and other public stakeholders,” said Lucile Keller, a member of the MTC board of directors. “The council was repeatedly warned that its decision of January 14 failed to comply with state law, and was taken hastily, unsupported by verified fact and objective analysis of the loss, the harms and the public safety risks that attend its offer to give away Charmlee Wilderness Area,” Keller added. Supporters of the trade have argued it is a rare opportunity to gain badly needed space for youth sports fields. Opponents of the trade fear the SMMC will quickly install campsites at Charmlee, increasing a risk for wildfires. 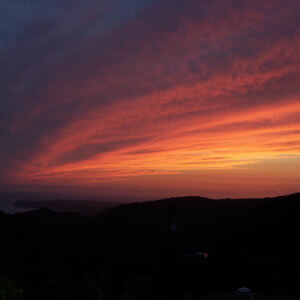 Read the original article at http://www.malibutimes.com/news/article_7953966e-8925-11e2-b29c-0019bb2963f4.html.